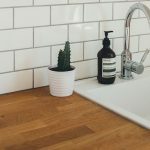 I am so excited to write this post, introducing the start to my very first One Room Challenge! 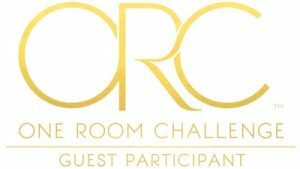 I will be making over my bedroom as a guest participant in the ORC so you can follow along on all the progress over the next six Thursdays. 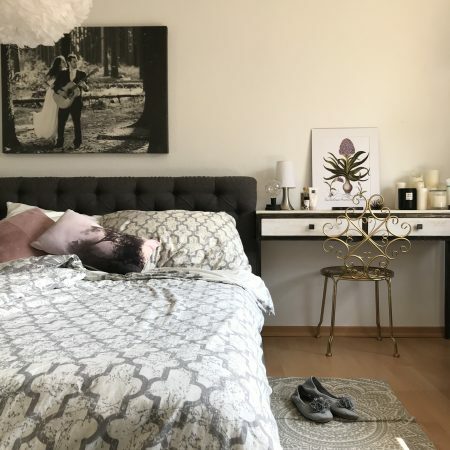 The One Room Challenge is a six-week room makeover challenge, hosted by Linda of Calling it Home. Hundreds of bloggers participate and post their progress each week. As a linking participant, that will be each Thursday until the final reveal on November 8. At the bottom of the post, I’ll leave a link so you can check out all the projects and bloggers who are participating this round. 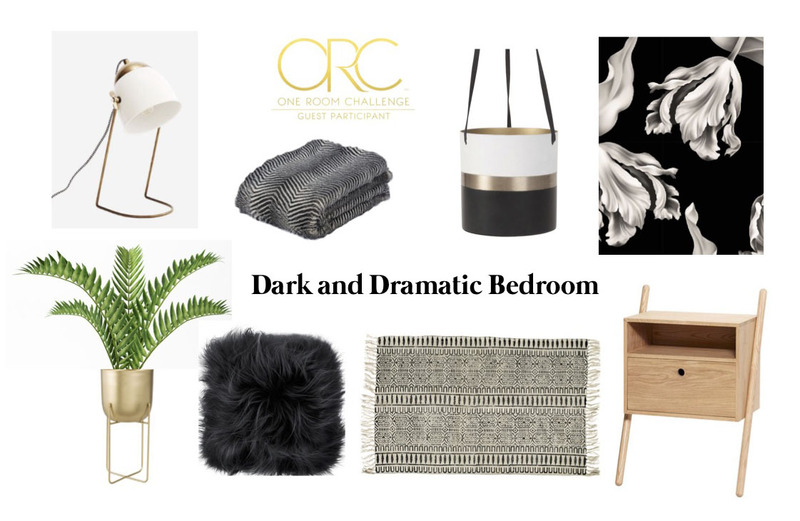 Over the past many months, I have been thinking about and planning for a bedroom makeover. But as usually happens in my own home, things take a while and move along slowly piece by piece. I spontaneously made the decision to sign up for the ORC this fall and am so excited that this makeover will move along at a much faster pace! 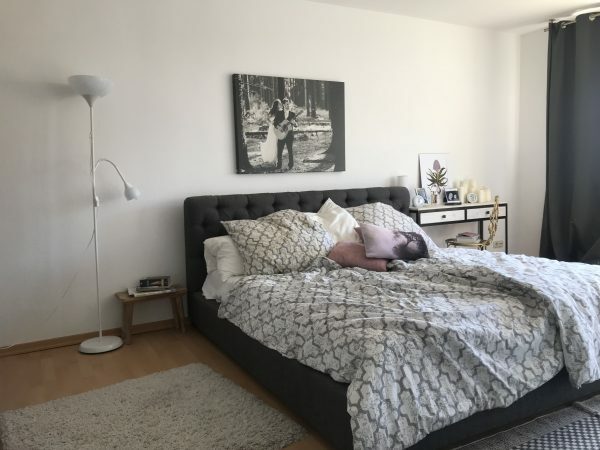 I’m really dying to have a beautiful bedroom and the One Room Challenge gives me the motivation I need to accomplish this goal in a very tight timeline. 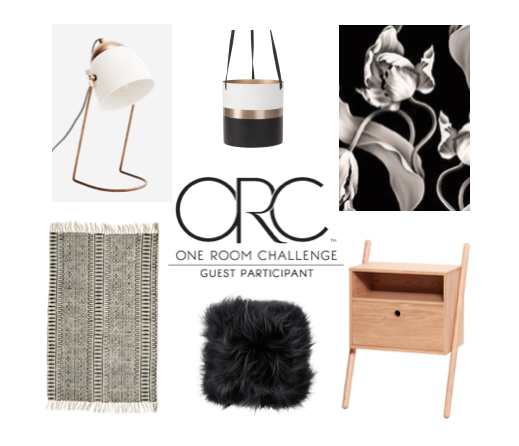 The ORC isn’t as much a competition as it is a great big motivating force to completely finish a room. So let’s take a look at the state of my bedroom right now. If you follow me on Instagram you may notice that I do post pics of my bedroom, but only from one angle. I only give you a shot of my side of the bed. There’s a good reason for that. I’m happy with our dark grey tufted bed and I love the wedding photo hanging above. The Vita EOS feather lamp has been the one new addition to the room, bought this past year. It will stay, although it was not hung up in the right spot, so it’s been taken down and will be rehung. The vanity next to the bed is a keeper, but I really want to have two matching nightstands on each side of the bed. So we’ll have to find a new spot for this console. 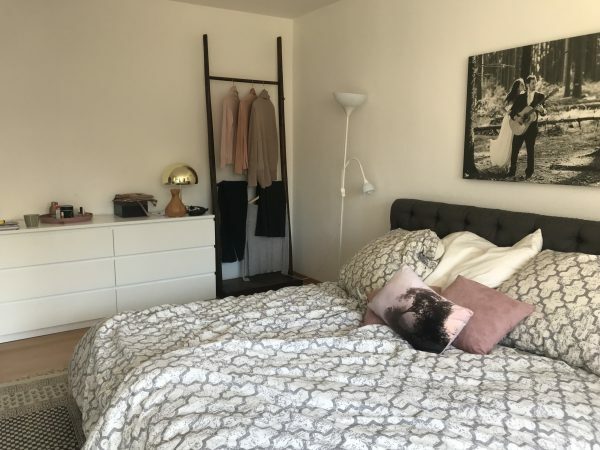 When you pull back from that side of the bed you realize that the rest of the room is just basic and boring. 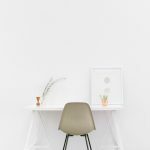 Plain white walls, undecorated. You can see why I don’t show my husband’s side of the bed. There’s basically nothing there. 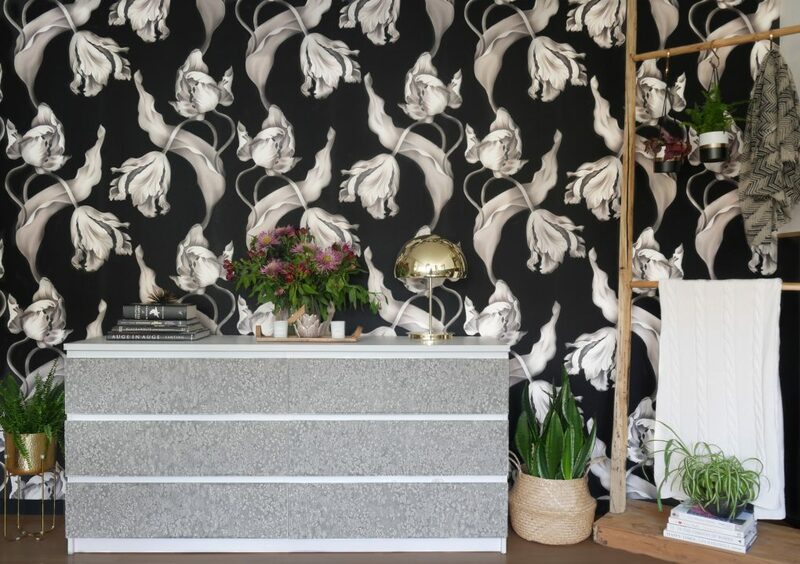 This side wall with the simple Ikea dresser is just begging for some drama. Something will have to be done with the dresser itself. And a big question for me is: Will the large Indian wooden rack stay? The piece is special to me and I love it, but it was bought in another time for another home. It has basically ended up in my bedroom because it doesn’t fit anywhere else in this house. I’d like to see if I can make it work in the space. Looking at the opposite side wall, there used to be a couch in front of the window. It was nice to have, but the reality was that it ended up being a dumping grounds for discarded clothes and laundry and we rarely used it to sit on. 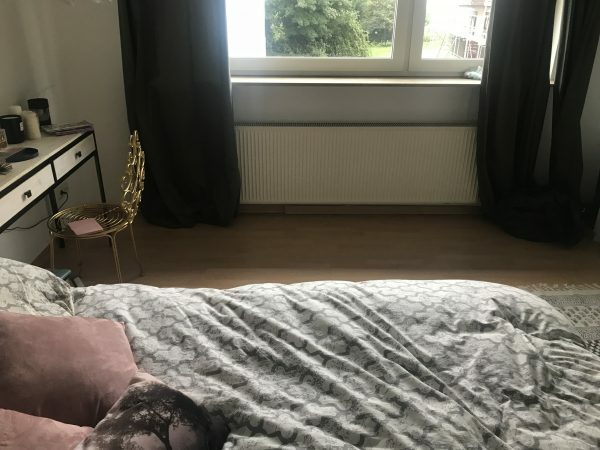 The couch has already been taken away and now there is a big empty space in front of the window. It’s nice to have more space, but I’ll have to figure out what to do in front of an unattractive radiator. I’m thinking to add a chair to this side of the room somehow. I’d really like a place to sit, but something smaller that doesn’t take up nearly as much space. 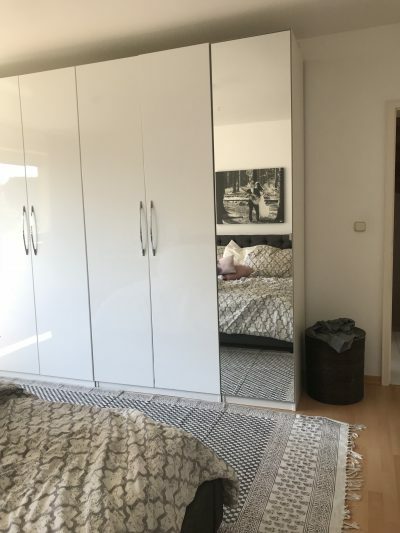 The wall opposite the bed is completely filled with giant Ikea Pax wardrobes. I live in Germany, with no built in closets of any kind, so this is a necessity and will stay as it is. The biggest change I’d like to make is to eradicate the plain white and boring atmosphere and bring in a dark and dramatic feel. Dark walls are on the design plan. Fortunately the room gets a lot of natural light thanks to the big window so I’m not afraid of darkening the space too much. Nonetheless I will be careful to keep enough light and bright pieces in the room to balance the dark. 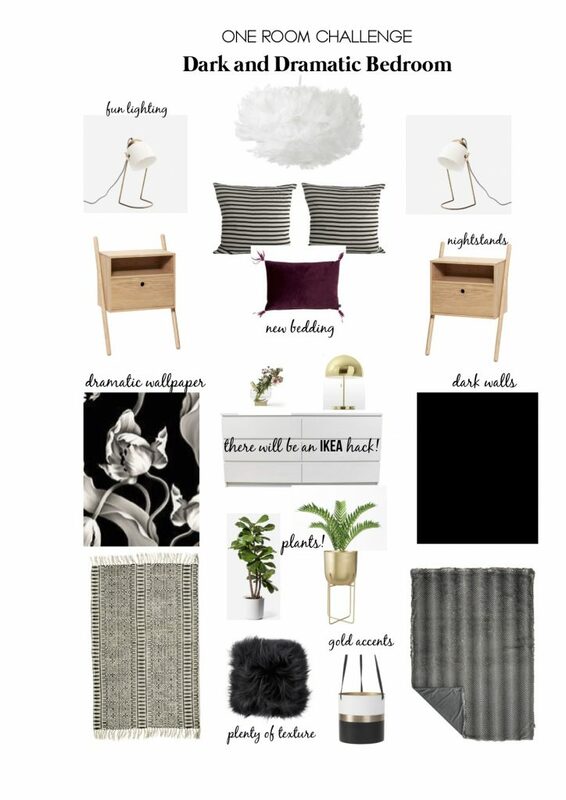 Here is a design board I have made with ideas for the pieces I’m planning to add, including the dark and dramatic walls. 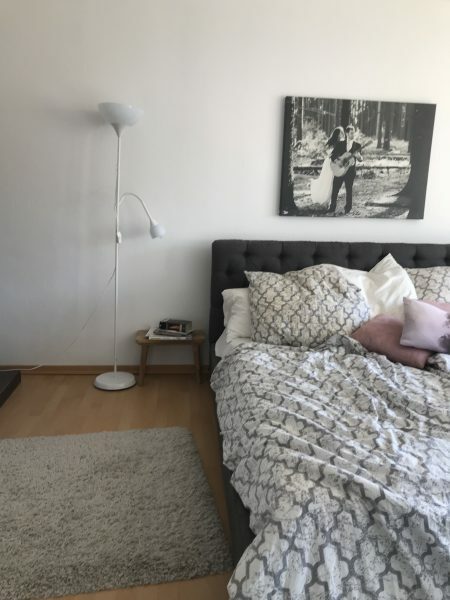 I know what I want to do with the walls and I’ve picked out the nightstands and lamps, but there are a few decisions that haven’t been made yet and will have to be figured out along the way. Namely, what to do with a few of the existing pieces. The vanity table needs a new home. 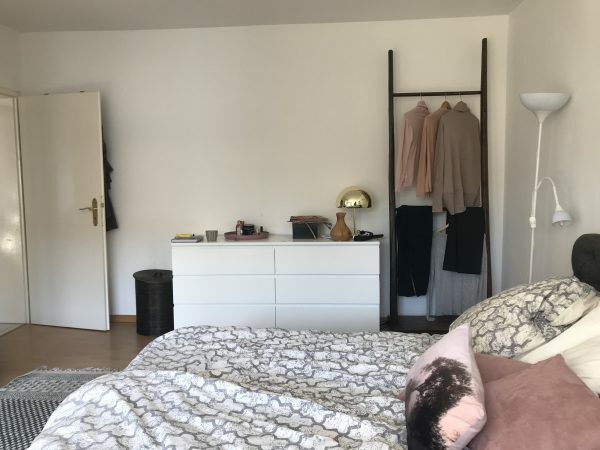 And the large Indian wooden rack: How can I fit it into the design? We shall see…. The past week has been spent ordering furniture, accessories and wallpaper. This is going to be such a tight schedule so I’m so nervous and excited to see if everything arrives in time for the reveal deadline (November 8) and if all the work can be done in time! Stay tuned to see how it comes along! To check out the other bloggers and their projects, be sure to visit the link-up page HERE. And, you won’t want to miss the 20 featured bloggers HERE. Head over, find some inspiring projects, and have fun following them throughout the process! Ohh, I love that dark and moody look you are going for…it is going to be beautiful! 🙂 And I love all of those dreamy throw pillows! Thanks so much Kristin! So excited for this challenge! 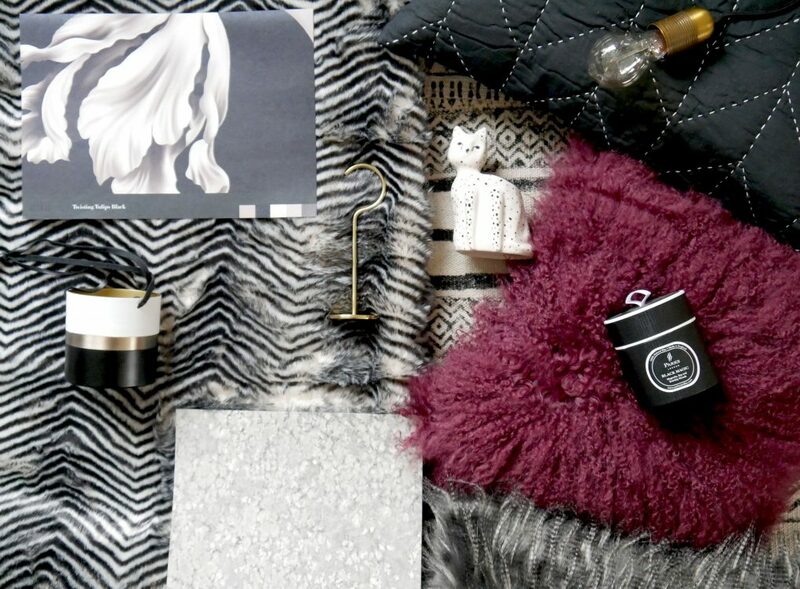 I am loving your color scheme and plans for this space. Good luck and I look forward to following along! that wallpaper is gorgeous and I love the moody look ! It’s a lovely plan! Those little lights are my favorite element, but that floral wallpaper is divine! Thanks so much! I’ve done the ordering, just hoping everything will arrive on time!!! Oh, this has some seriously good moody vibes!! Love the monochromatic feel with those brass touches … I sure hope you can make that rack work; it’s very cool. Good luck on your first ORC!! I am IN LOVE with the chair at your vanity. It is absolutely beautiful. I love moody spaces, I can’t wait to see what you do with the room. I hope you keep the wooden rack, it’s a great piece! 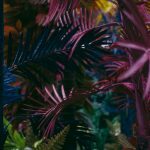 Oh my goodness – your mood board has me swooning! I can’t wait to see the final reveal! 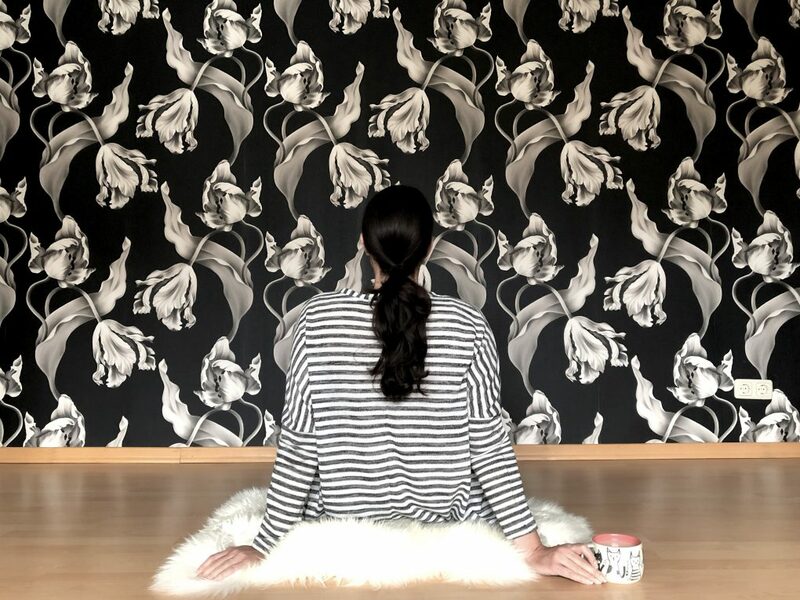 I love the drama of that wallpaper!! I love it all, and I can wait to see it all come together. I love that little vanity chair, I hope it stays. I’m looking forward to your dark moody room. That wallpaper is so dramatic. I am having similar issues with sourcing supplies in time. Good luck! I’ll be checking in.